So, you’ve chosen teaching English in Madrid? Good decision! This bustling, buzzing metropolis is often hailed as one of the most immersive, fun-loving, and hedonistic in all of Europe. You’ll never be short of a cerveza to sip, a flamenco to twirl, a tapa to devour, or a priceless piece of art to wonder at, especially if you follow our top tips on how to get acquainted. 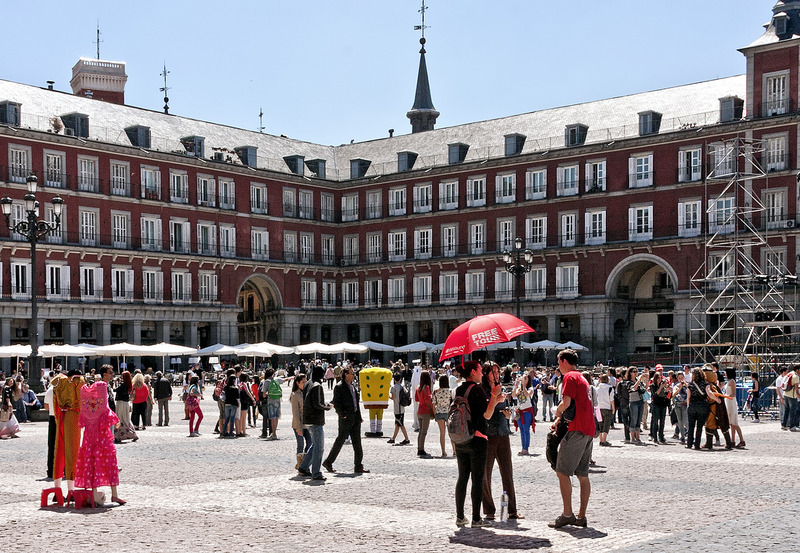 The Plaza Mayor, along with the Puerta del Sol, forms the beating urban heart of Madrid. It’s a grand and gorgeous square, built way back in the 16th century under the auspices of Philip III. A great effigy of that onetime king still crowns the middle, majestically astride a warhorse in full battle regalia. However, it’s not the only thing that draws the eye, what with that elegant fringing of Classical arcades, and the crowds of people to watch – best done from the rows of al fresco cafes that serve up fruity sangria and coffee around the plaza’s edge. 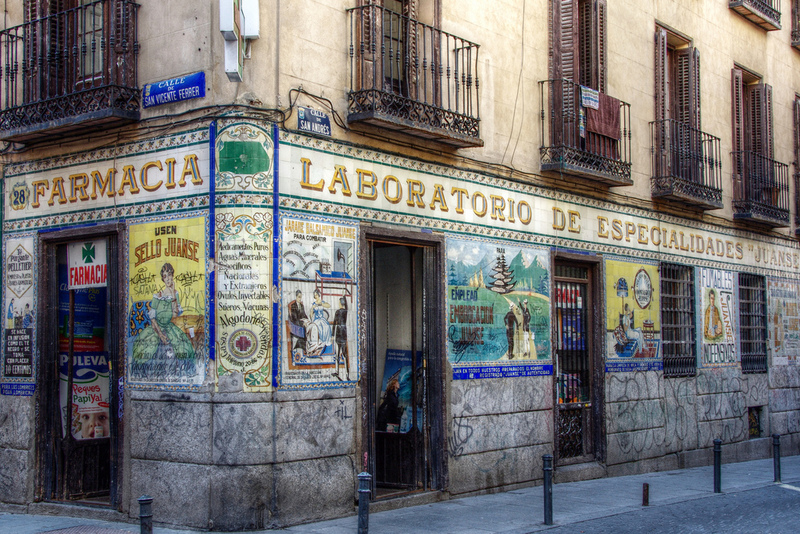 A web of diagonal-pointing alleys and bustling streets that filters off westwards from the Plaza de España, Malasaña is now one of the hubs of Madrid’s nightlife scene. You’ll find it brimming with bohemian dive bars and wine-sloshing bodegas, all of which nestle on the breezy avenues between pastel-painted buildings. In summer, you’ll find plenty of places that spill onto the street corners for those al fresco craft brews. In winter, head for the underground jazz joints, where the resident hipster Madrileños coalesce. 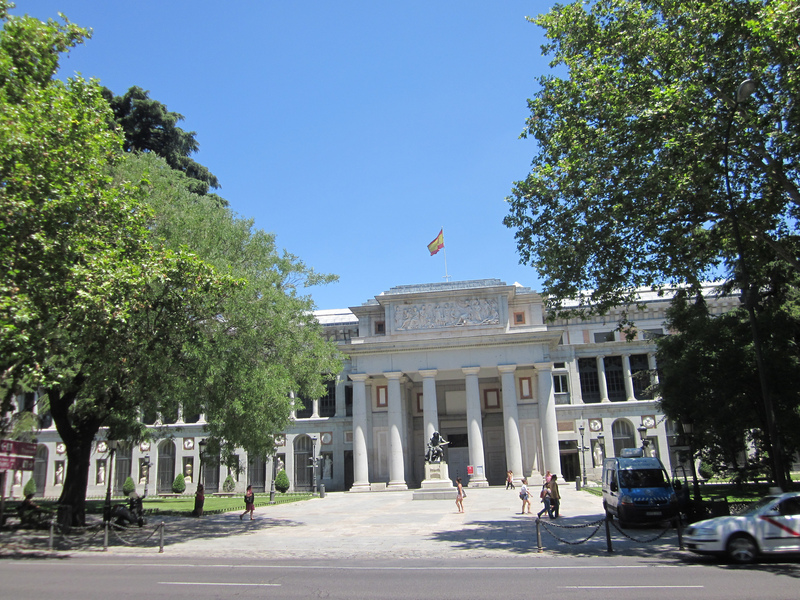 There are countless reasons why anyone teaching English in Madrid would want to put the city’s most celebrated museum – the Prado – somewhere close to the top of their to-do list. For starters, it’s the official national gallery of Spain, which means masterworks by the likes of El Greco and Goya lurk within. And it’s got one of the richest collections of European art on the continent, so you’ll also catch pieces by Raphael, Rubens, Caravaggio, Titian – the list goes on and on. Madrileños go wild for food markets. That means there are oodles to pick from in the buzzing capital. 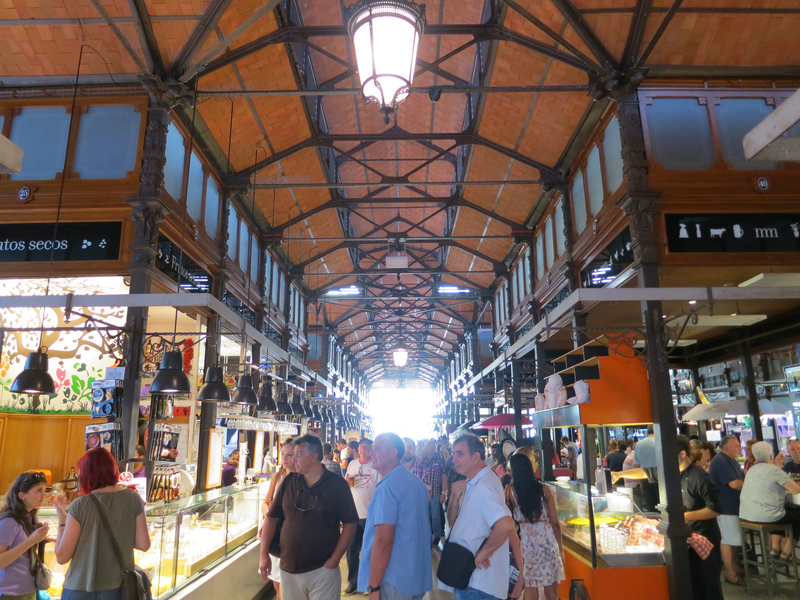 The most famous is certainly the Mercado de San Miguel, which sits in a filigreed iron building near our people-watching favorite, Plaza Mayor. Inside, you’ll discover stalls bursting with tasters of vermouth and Spanish olives; others with stacks of salted Iberian ham; others with a kaleidoscope of cheeses and blood-red Rioja wines. Meanwhile, cutting-edge eats are the name of the game at the Mercado de San Ildefonso, and Mercado San Antón boasts super-fresh calamari and cold beers. 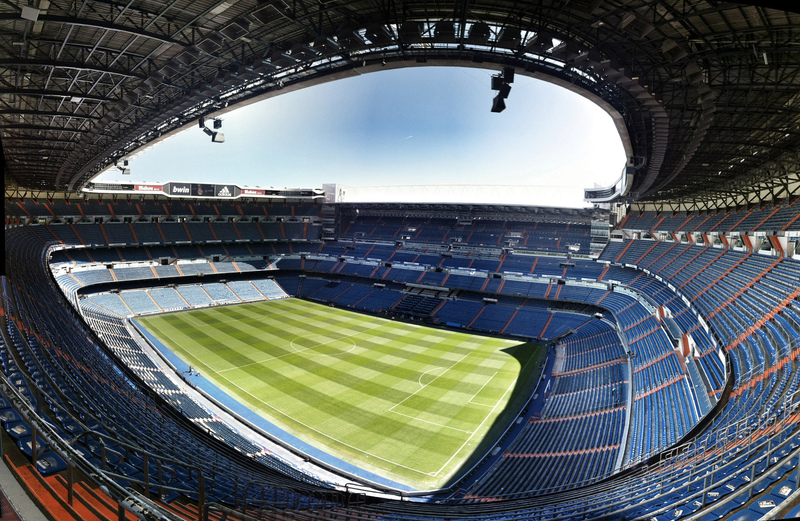 You probably don’t even need to be a soccer fan to enjoy the enthralling atmosphere of the Bernabéu Stadium whenever Real Madrid grace the turf. Attending a game here something of a rite of passage for all new arrivals in the capital, and anyone teaching English in Madrid can see it as a real opportunity to understand what makes the local Madrileños tick. Of course, supporting the Galácticos is a must, and a white football strip wouldn’t go a miss if you’re keen to fit in properly! While flamenco actually hails from south Spain and the regions of Andalusia and Murcia, there’s really nowhere better to get to grips with the romantic twirls and swirls of the national dance than in the capital. Iconic establishments like Corral de la Morería – which bills itself as the “most famous flamenco tablao in the world” – still thrum to the emotive pentatonics of Spanish guitar each evening. 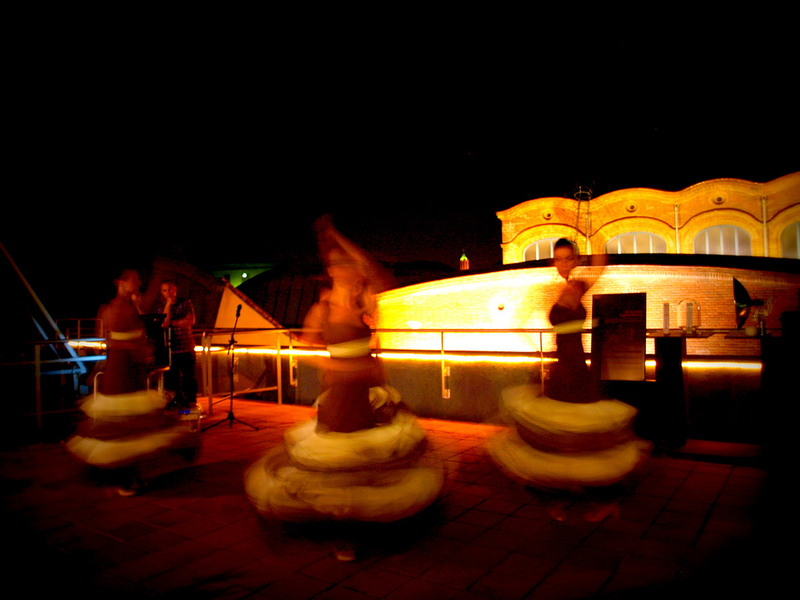 Alternatively, you could try your hand at the movements yourself, on a dedicated flamenco tour of the city’s dance dives. 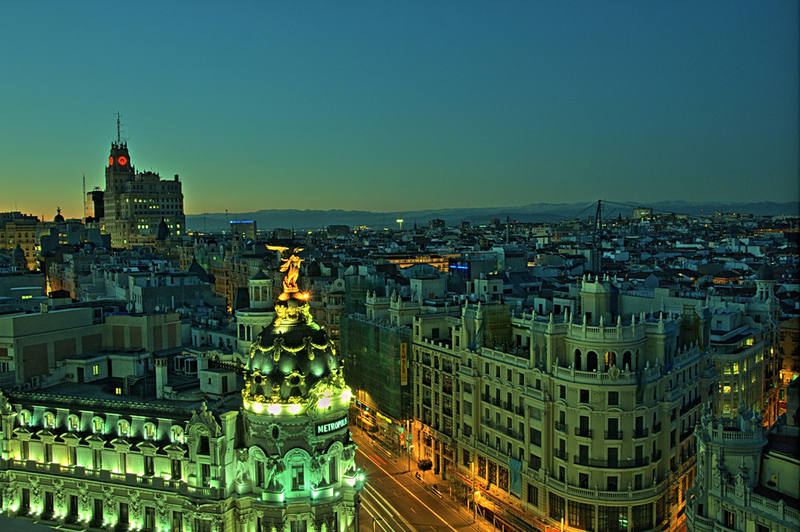 A stroll along the world-famous Gran Vía is a perfect introduction for anyone teaching English in Madrid. It’s the pulsing, throbbing main artery of the city, gilded with more Art Deco and Neo-Classical frontispieces than you can shake a chocolate-dipped churro at. As you walk, the glimmering dome of the Metropolis Building and the colonnaded Edificio Grassy building will both grace the skyline, along with countless theatres, department stores, glitzy fashion outlets, and cinemas. If you’re a veteran of teaching English in Madrid and have more great ideas to add to this list, we’d love to hear about them in the comments below. If you’re ready to get qualified and TEFL teaching in Spain, then how about checking out our job offers or courses?